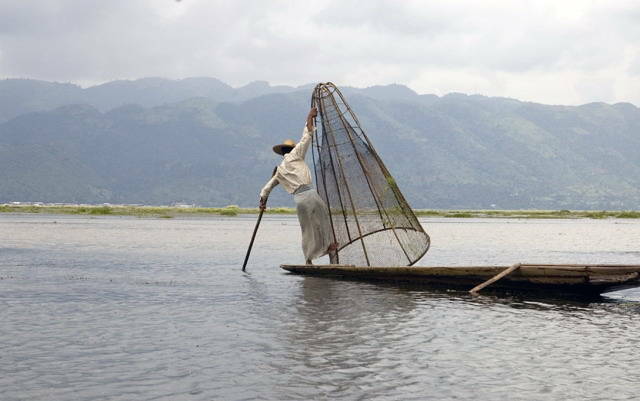 The Inthars also make their living by fishing. 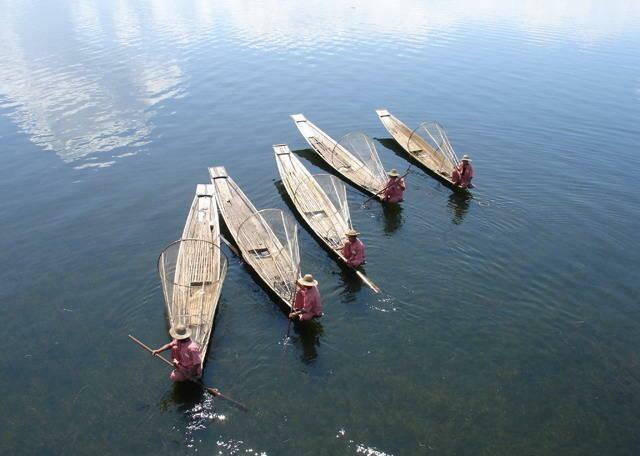 The silk dresses and clothes of Inle are popular among local and foreign visitors. 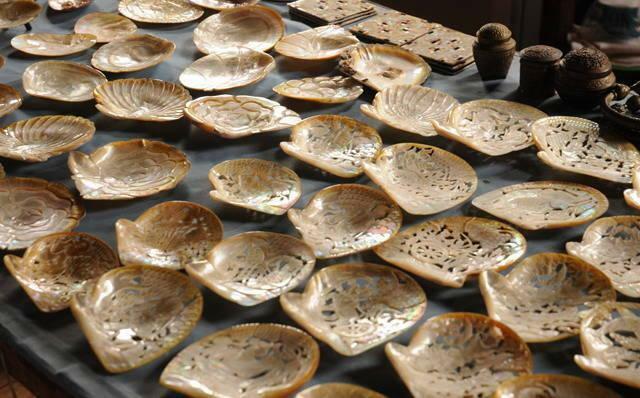 Inle also produces silverware. 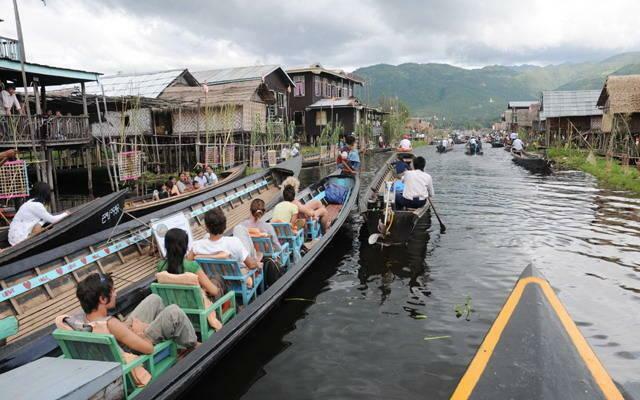 Inle Lake Myanmar (Burma) is 22km long and about 11km wide. The lake is at 1328 metres above sea level. 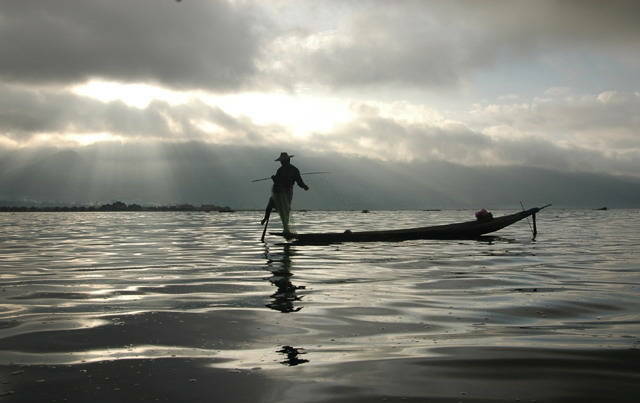 Inle is one of the most popular tourist destination in the Shan State. 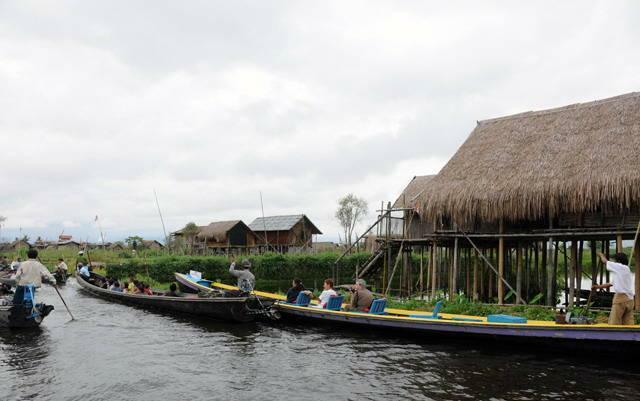 The floating water hyacinth are the major products of this region. 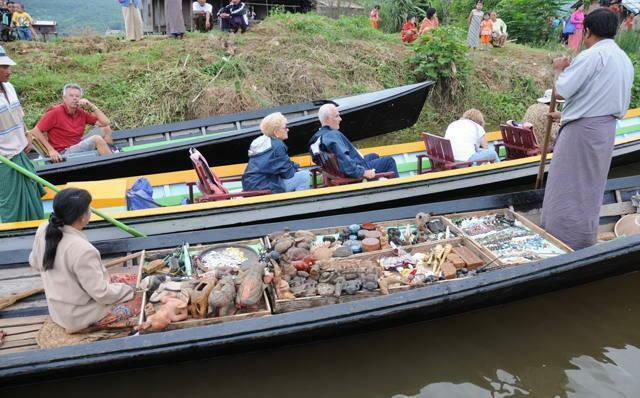 Many hand made products such as bags, baskets are made from water hyacinth. Other vegetations are tomatoes, beans, cauliflower, cabbage, eggplant, garlic, onion, betel, melon, papaya and banana. Some villagers also grow rice. 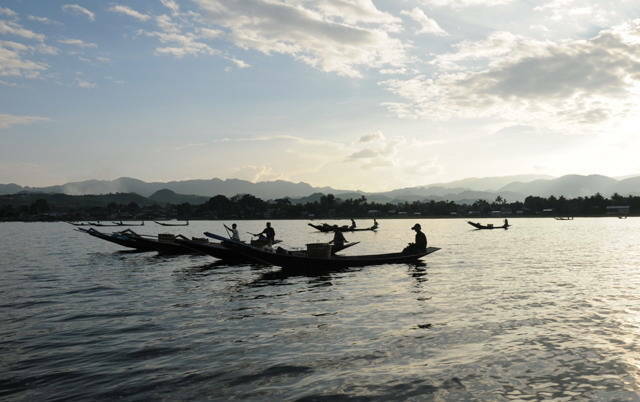 The main pagoda in the Inle lake is called as "Phaung Daw Oo" Pagoda. There are five small Buddha images all covered with gold and difficult to make out the figures. There is an annual festival around October/November. 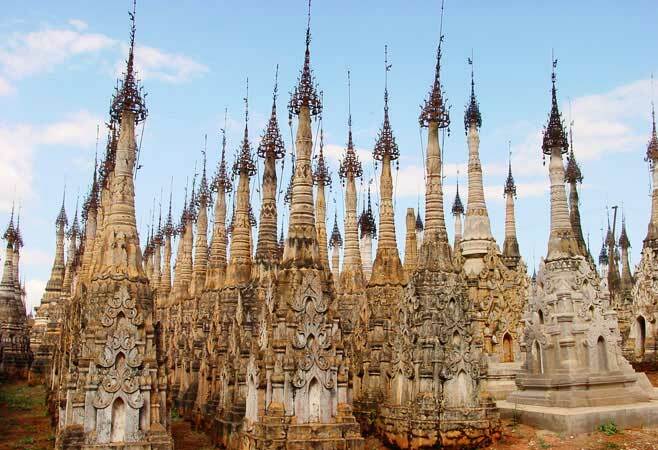 The Kakku relic pagoda of the southern Shan state, which only recently has become one of the most visited places in the Shan State. 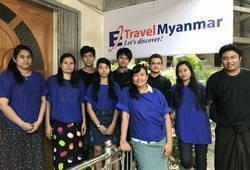 It is situated near Mway Taw Village, Kakku village tract, Taunggyi township, under the administration of special region 6, About 25 KM away from Taunggyi, the Capital of Shan State. 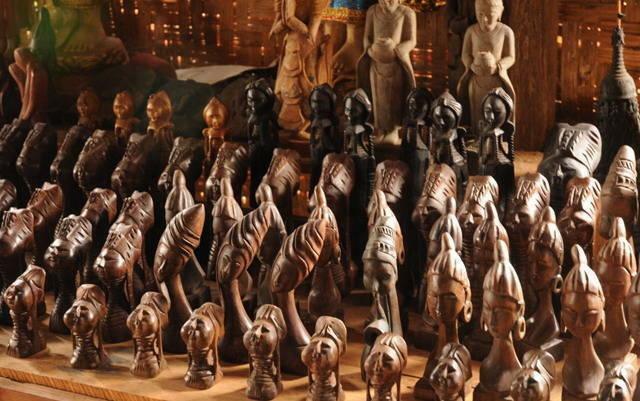 The legend of Kakku goes far back to the 3th century B.C to the region of King Ashoka of the Indian Empire, and also to the 11th century Bagan dynasty during the region of the famous King Alaung Sithu. It is a well known fact that King Ashoka purified and propagated the Buddhist religion throughout the Indian Empire and extending even future to Myanmar. All of us are familiar with Asoka’s stupendous and monumental works of charity, where donated most significantly 84, 000 wells, 84, 000 ponds, 84,000 pagodas among many others forms or deeds of merits. 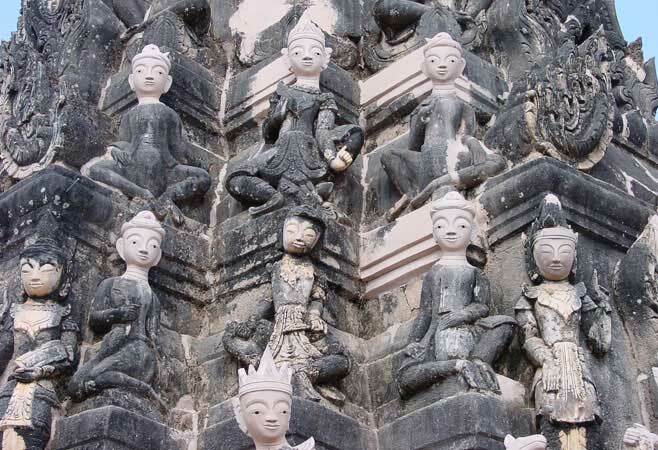 Thus many ancient pagodas found in Myanmar are in some way or another links to his name. So went the oral history handed down through the generations. Another popular legend in Myanmar History concerns King Alaung Sithu, of the flourishing Bagan Dynasty, gained legendary fame due to his nation –building endeavors and dedicate propagation of Buddhism in Myanmar. 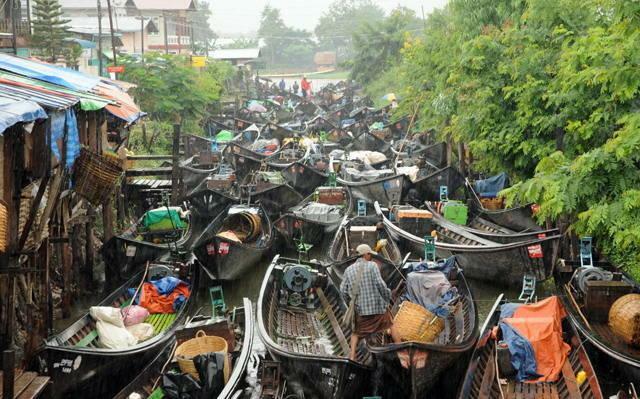 He was reputed to tour his Kingdom in the magical “Thit Ka Net” royal barge with a war way appearing mystically at the mere direction of his finger. He used to build pagodas among the banks, atop hills, and the plains as inspired by his royal vision. 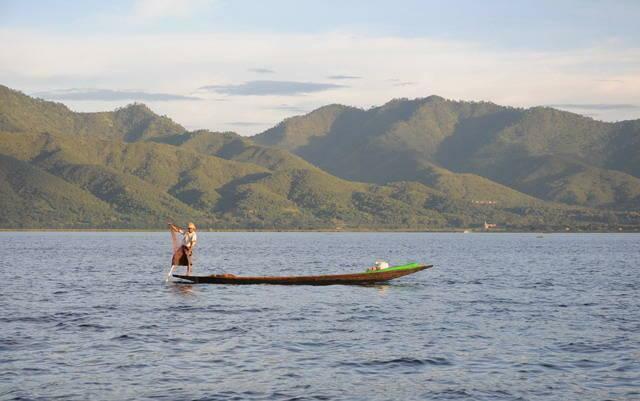 During one of his royal tours along what was the Shan State, he was deeply enchanted by the unraveling scenic beauty of this location. His majesty thereupon commanded his retinue to build a pagoda atop the hill over looking this magnificent valley. 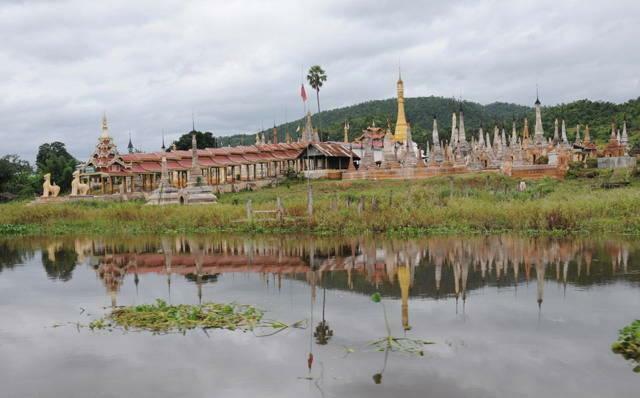 This pagoda was named “Phaungdaw Sit” meaning pagoda built where the royal barge berthed. It was also one of the largest structures among the group of the pagodas. The assemblage of Kakku pagodas consists of two distinct architectural presentations. One presentation was designed as the “Yun” assemblage of pagodas. 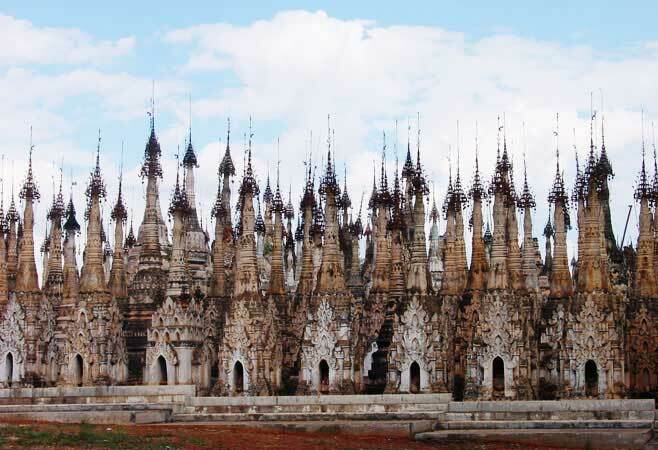 The foremost pagodas donors were one of the dominant Shan ethnic nationalities known as the “Yun”. The structures have distinctive tapering spires. 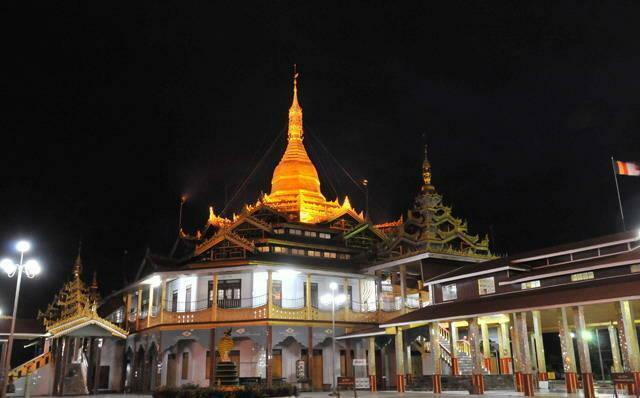 The largest pagoda of Yun design stands at the eastern sector and is known by several names, such as Ashoka pagoda, Shwewet Ku pagoda, Kakku relic pagoda, etc. The seconds presentation followed the Myanmar design initiated by King Anawratha during the golden age of pagoda building. King Alaung Sithu was also famous for building pagodas at places where his royal barge anchored during his extensive travels along his kingdom. One of the imposing pagodas situated in the western sector is reputed to have been built by king Alaung Sithu bearing the august named “Phaung Daw Site” pagoda meaning the pagoda in memory of the place where his barge anchored. 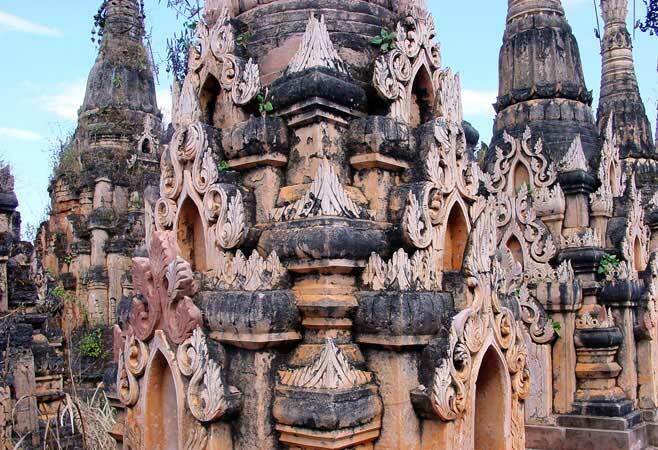 The pagodas in the western sector generally followed the Bagan Design. Devout Buddhists of the later generations donated many smaller pagodas around the two large stupas. Thus the numbers grew through the passage of time heightening the aura and also enriching the architectural kaleidoscope. The Later census conducted in the years 1928 , recorded the number as 2548 pagodas.